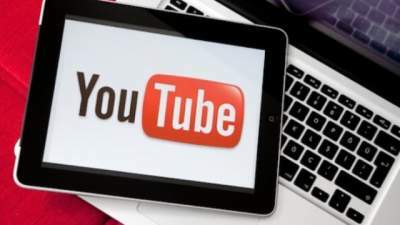 In the previous post, you know about the cost of various types of YouTube ads, an ad that is good for you, profitable, and the maximum ad will be added to your video. Take a look at those who did not see the previous post. You Had to Tell about CPM and CPC in The Previous post. But due to the shortage of time, it was not possible. So you will be informed about this in today's post. Words such as CPM, CPC, RPM, CPE, Active View CPM, etc., are especially important for online advertising in the world of advertising and earning advertisements. These words or acronyms for advertising on Facebook Ads, YouTube ads and websites are very much for an advertiser Emergency. In the same way, those who earn income through their Facebook page, YouTube channel and website or blog, also need to know about these acronyms. For one YouTube, there must be an idea about CPM, CPC, RPM, CPE, Active View CPM. Let's know about these acronyms. The CPM's full coverage is Cost Per Mille. Mille is a Latin word here which means Thousand. Simply speaking, CPM stands for Cost Per Thousand Impression. That is, the amount of money that an advertiser would like to pay for displaying one of their AD 1000 times is called CPM. If an advertiser provides his ad at $ 2.00 / CPM, then this means that the advertiser will pay $ 2 for every 1000 views of his ad. The term CPM applies only to advertisers, not for youtube. CPC Percentage is Cost Per Click The CPC word is also applicable only to advertisers. Simply put, if an advertiser agrees to pay the amount per 1000 clicks on his ad, then call him CPC. If an advertiser provides ads at $ 5.00 / CPC, he will pay $ 5 for every 1000 clicks on his ad. The full description of RPM is Revenue Per Mille, which means Latin word Mille means Thousand. That is, RPM stands for Revenue Per Thousand Impression. The word RPM is applicable to a YouTube user. An ad unit is not displayed or displayed repeatedly on a YouTube channel. Rather, different ad units are displayed, and if all the ad units are 1000 times viewable, then the value of each ad is calculated by the amount of money transferred to your Adsense account. Thus, the amount of revenue you have displayed by displaying different 1000 AD units in your channel is displayed in the form of RPM or Revenue Per Thousand Impression. Suppose, your Google Adsense account has RPM 100 $ This means that your total revenues from your 1000 different ad units in the channel are $ 100. Viers Hove Overt ed. For Some Time. A Product Tour to Viernes. The above conditions are most commonly seen in CPE based ads. Suppose, the CPE ad was provided on your channel video. In this case, the advertisers will pay you only when the advertisers' conditions are met. If you have an ad like this, then you will be paid when the viewer will see a bit of ad in your video or click on the ad to go to the product website ad, search the product, or click on the ad, or watch a related video ad or product Go to the website and sign up via email If viewers do not do these things then you will not be paid for the ad. What is Active View CPM? An addicted to your video will be considered Active View CPM when a specific part of the ad is viewable to the viewers. An ad will be treated as Active View CPM when the ad fulfills the following two conditions. At least 50% of the ad is visible within the visitors browsing window. The ad was visible for more than one second. That means an ad will be treated as Active View CPM when 50% of the ad viewer browser window is displayed and the ad is displayed for more than 1 second. If no of the above conditions can be met, no ad will be treated as Active View CPM. In addition to CPM, CPC, RPM, CPE, and Active View CPM, there are more acronyms (e.g. CRT, GND etc.). However, enough information is available for a YouTube user in CPC, CPM, RPM, CPE and Active View CPM. But one thing, as you know from your Google Adsense account, you can also know how much your RPM or total revenue is, how much you earn from CPC, CPM, CPE and Active View CPM. All you have to know about YouTube and YouTube edits that you must know for a YouTube user. You will have the following posts with Google Adsense. Stay with us.